Summer is right around the corner. The kids will be out of school and the doctor’s offices slow down – the perfect time to squeeze in your health to-do’s before the next school year starts. Annual Doctor Visit – this is a great time for a well-check visit as germ exposure in the waiting room goes down significantly in the warmer months. Regular health exams and tests help to identify problems before they start. Dentist Check Up – The American Dental Association recommends a visit every six months where your overall oral health will be examined, in addition to cleaning your teeth of plaque and tartar. Your oral health often provides early indicators of other issues like diabetes, oral cancer and vitamin deficiencies. Eye Doctor – It is recommended for children to get regular eye tests every 1 to 2 years to monitor potential changes in vision. Increased use of digital devices has created an unprecedented increase in myopia or nearsightedness. Hydrate – the higher temps can stress anyone’s body, so be sure to stay ultra-hydrated and take breaks in shaded or air-conditioned places to avoid heat stroke or getting overheated. 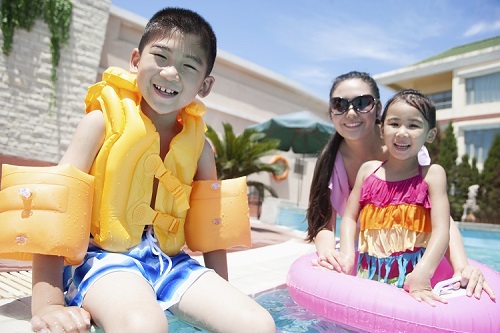 Pay Attention Around Water – never leave kids unattended and don’t swim too soon after eating. Picnic Safety – summer barbecues can be unpleasant if your mayonnaise or salad with mayonnaise sits out in the sun. Don’t forget about making sure meats are cooked thoroughly as well. Itch Prevention – stay aware when around bees or wasps, as allergic reactions can become deadly. Long sleeves and/or bug spray can help prevent mosquito, tick and chigger bites. Sun Burns – sunscreen in the summer is a must. Add a hat with a brim to help keep your face out of the sun.